It’s best to look simple and natural in summer because too much of make up spread all over your face will make you look like a complete disaster. The followings are necessities this summer. Have you touched your hair lately? Heat, UV rays, and chlorinated water can be a nightmare combination for your hair if you don't take the right precautions. The best thing to do is buy hair balms which smoothen and soften your hair. They come in varieties and you can choose the type according to your quality. One of the best brands for this is Caring Treatment which contains egg protein and honey milk protein. While the bigger jar costs around Tk550, the smaller ones are only around Tk340. They are available in stores like Almas and Priyo. Lips all dried up? It is all part of summer. Lip glosses are essential every season and it will give you a gorgeous but simple look for this season. Lip glosses come in variety of brands but the best ones are of course of well-known brands. If you can exceed your budget a bit then buying Mac, Revlon or Shiseido which are a bit highly priced will give you complete satisfaction. Their pricing ranges are between Tk 525 to Tk 2300. The best thing to do is go and check their colours and pricing in stores like Almas, Priyo or any other cosmetics shop. Best to go for eye pencils in summer then liquid liners which smudge all over the eye area due to too much sweating. Eye pencils can be found in different colours and brands. Mac has some really nice eye pencil colours for Tk1600 but if that's too far above your budget then there are many other brands of eye pencils around for about Tk 200 to Tk 300. Look for them in a known cosmetics shop . Maybelline crystal glitter shadow pencils costing around Tk280 can be really good for summer as they come in light colours and lasts for the day. Other brands like L'Oreal, Mac, and Clinique also have some nice shades but are a bit high priced and are available in cosmetic stores. A necessity for summer to stop the face from sweating is available in different brands and can be chosen according to skin tones. 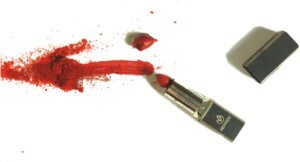 It is best to buy face powder from known companies like Clinique, Mac or Estee Lauder to avoid skin problems. These are a bit pricey and few of them might not even be available in the market but you can still look for them. Its scales sparkling like beads of pearls, Hilsha or 'Ilish' in the local parlance is instantly recogised by its bright silver shade. It is truly delicious and to most Bangladeshis its taste is simply not comparable. Aptly, it has been designated as our national fish. The taste aside, Hilsha's nutritional value is great. 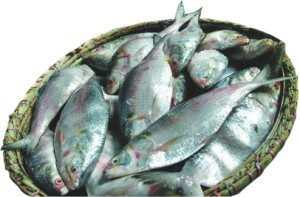 A full-grown hilsa measures between 33cm to 55cm and weighs up to 1.5 kg. Each 100g of hilsa meat contains 21.8g protein, 3.39g sugar, 2.2g minerals, 19.4g fat, 24mg Vitamin C, 180mg calcium and 2.3g calories. Its fat contains Vitamins A and D. Studies conducted by the Institute of Nutrition and Food Science of Dhaka University have shown that Hilsha fat has cholesterol lowering capacity up to the extent of 14.2%. Endless varieties of dishes can be prepared with Hilsha. Some of these are Ilish Polao; Shorshay Ilish (Hilsha with mustard); Smoked Hilsha; Ilish Curry; Nonta Ilish (salted Hilsha); Ilish Bhaja (deep fried Hilsha). Given that we are in the midst of the Hilsha season, I feel tempted to offer some recipes- two methods of preparing Hilsha roast. This special recipe can be prepared in two different ways. The first is to cook the Hilsha in a pressure cooker so that the bones get dissolved, and the other way is slow cooking on low heat. Scale the fish and clean the inside. Separate head and tail and wash well. Marinate all three portions of Hilsha with all the ingredients except fried onions for about 2 hours. In a large pressure cooker put oil. Put the mid-portion of the fish in the centre of the cooker and place the head and tail on the sides. Add the marinade and pour 6 to 8 cups of water. Lock the lid and cook at high temperature for about 10 minutes. Reduce the heat to medium and cook for another 1 1/2 hours. Open the lid very carefully. Now in an ovenproof oval dish, arrange the fish with the head and tail. If there is too much water in the gravy, cook it on slow fire until all the water evaporates and oil settles on the surface. Pour the gravy on the fish and spread bereshta over the mid portion of the fish. Cover the dish with foil paper and bake on low heat for about half an hour. Garnish with potato sticks. The delicious Hilsha roast is ready to be served. Scale the fish and clean the inside. Separate head and tail. Now make two long fillets of the mid-portion and discard the midriff (middle bone only). Wash very well. Marinate fillets, head and tail with all the ingredients except fried onion for about 2 hours. Take two pans and heat oil (in this case, put 2 tbsp oil in each of the pans). In one pan, put fillets (skin side down) with half of the marinade and in the other, put the head and the tail of the fish with rest of the marinade. Add 1 cup of water in each of the pan and bring to a boil. Put the lid on, lower the heat and simmer for about 20 minutes. Check carefully with a spatula to prevent it from sticking to the bottom of the pan. Turn the fillets very carefully after about 20 minutes and cover the fillets with the fried onions. Put the lid on, place the pan on a skillet ('tawa') and cook on slow fire until oil settles on the surface. In the same way, turn the head and tail in the other pan after about 20 minutes. Put the lid on and cook on slow fire until oil settles on the surface. Arrange the fish with head and tail on banana leaves and garnish with potato sticks. After the downpour of the past couple of days, the rainy season has fully announced its arrival to our city. And with its arrival come greener greenery, fresher fruits and sweeter flowers. But apart from the effects on nature, monsoon establishes its presence in other aspects such as fashion lines as well. Mayasir for one, has introduced a new collection of salwar kameez sets, fatuas, saris, panjabis, skirts and tops in varying shades of red, blue, white, orange, turquoise, magenta and green. The materials that have been used are bexi-cotton, georgette, joysilk and endi and the line has been embellished using a range of sequins, glass beads, shadow-work and Gujrati stitch. The salwar kameez sets cost between Taka 1450-4850, panjabis range between Taka 200-2200, saris 550-1500 taka, and fatuas have minimum and maximum asking ranges of Taka 200 and Taka 750 respectively. Stop by Mayasir's outlet on Gulshan Avenue to pick up the season's best. Etc has introduced new lines of women's wear at all its outlets where renowned local designers will be displaying their designs. Formal wear in muslin, silk, crepe and ready-to-wear outfits in cool and breezy cotton are the main attractions of these apparels. Colours and patterns have ample variety with everything from classic black and white to vivid reds and muted tones. Patterns range from stripes to embroidery to floral prints that are perfect for summer. The lines that will be showcased are Anokhi by Humaira Khan, Sabina's by Sabina Panni, Roxana @ Etc by Roxana Salam, Khubsoorty by Sabrina Hasib, Hoques Emdad by Emdad ul Hoque and R & B by Roxana Salam. So stop by either of Etc's two outlets in Dhanmondi or Uttara to check out their new designs. Although far more hype is created about Mother's Day than is for Father's Day, some local outlets are going that extra mile to celebrate the latter. As such, Shadakalo has on offer panjabis (Tk 480-Tk1280), shirts (Tk 450-Tk 1280), fatuas (Tk 380-Tk 750) and mugs and cards inscribed with the word 'Baba' in Bangla costing Taka 180-1250 and Taka 35-150 respectively. So check out any of their outlets in Gulshan, Bailey Road, Banani or Rifles Square to avail these offers during the last three days leading up to Father's Day on June 17.